﻿ Railay Phutawan Resort, Krabi | FROM $32 - SAVE ON AGODA! 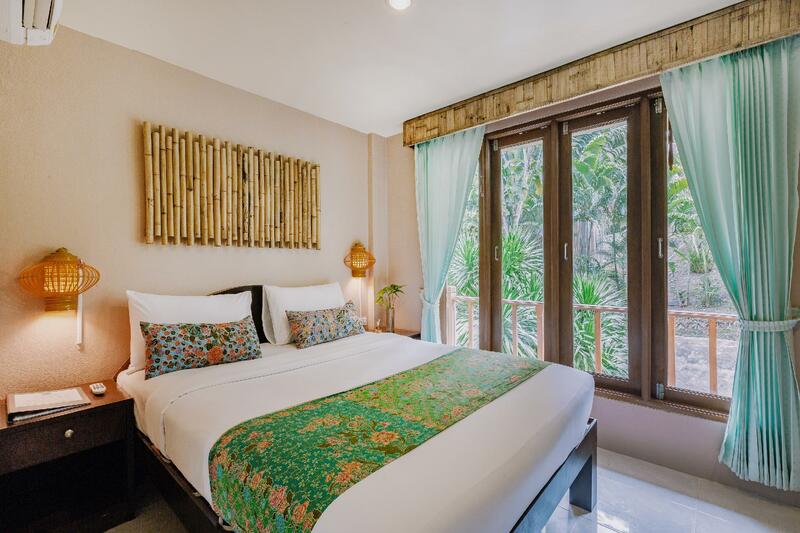 Have a question for Railay Phutawan Resort? 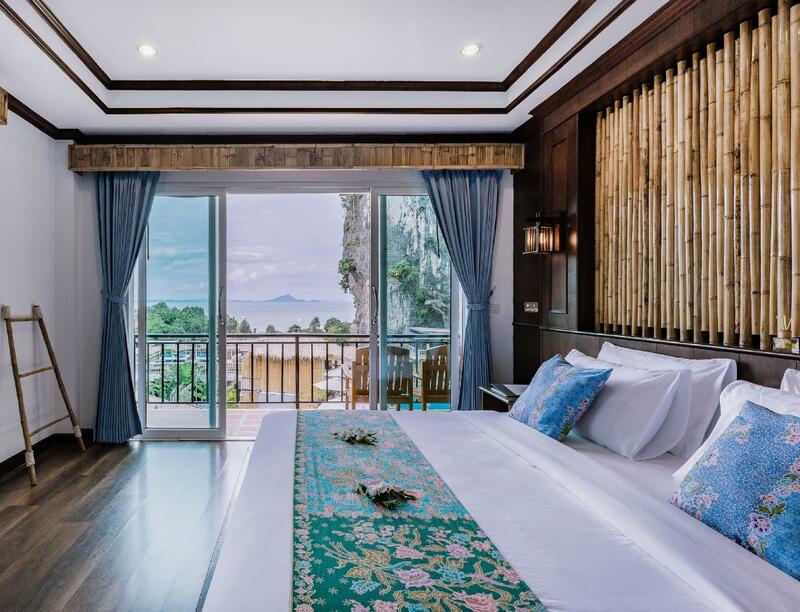 "Absolutely stunning scenery from the hotel/pool, rooms lovely and a so peaceful away from the main busy parts of Railay." "this hotel was fantastic value for money!" "The view from our sea view room was amazing." 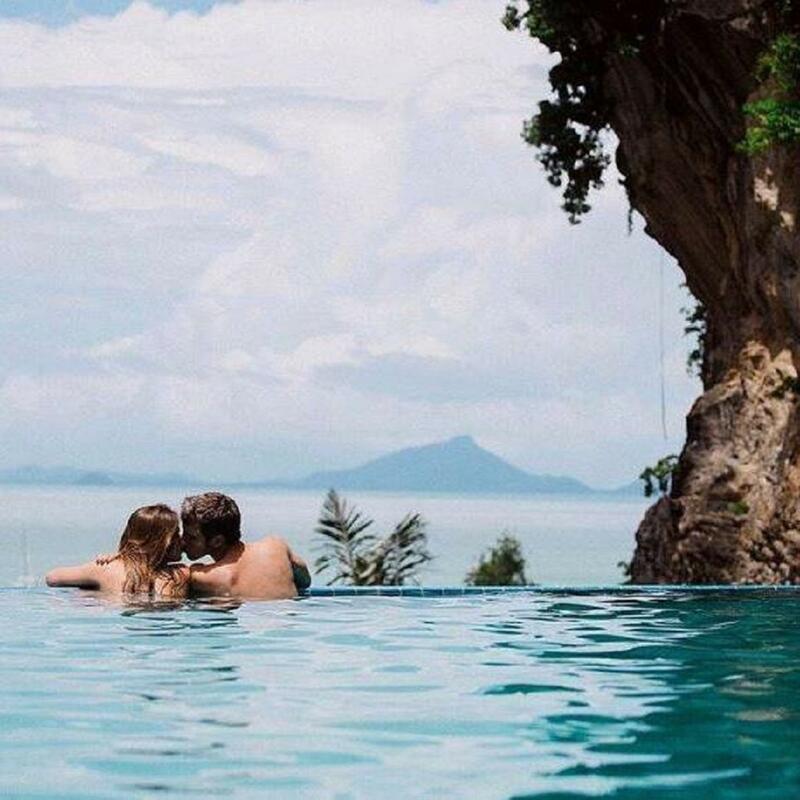 Set on one of the most beautiful and romantic setting of Railay, the location of the resort ensures guests have complete privacy and can enjoy total relaxation away from the busier beaches of Krabi. 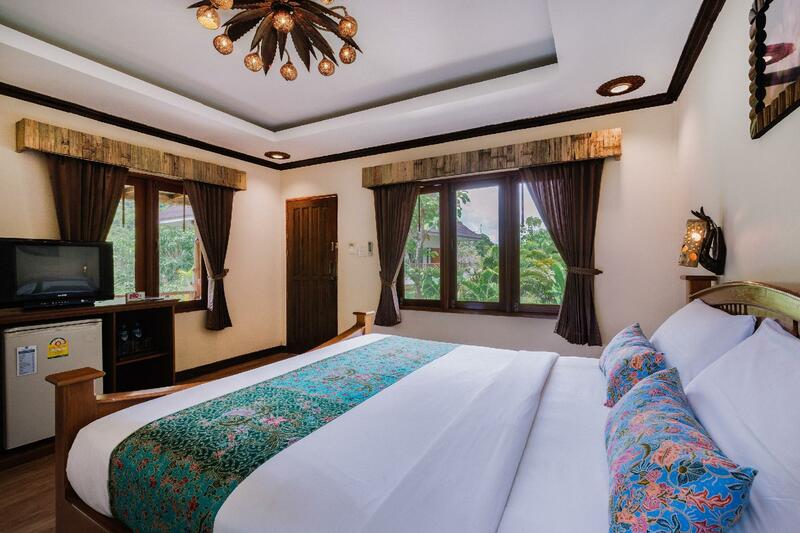 The accommodation here portrays the rich cultural inheritance in each room and restaurant. As it’s a beach location, snorkeling, diving, fishing, elephant trekking, sailing, kayaking, or cave exploring are some common seasonal activities guests can enjoy. Those who need a break from beach activities can attend cooking lessons and learn how to prepare real Thai food at the on-site Cookery School. This 3-star property is an ideal destination for couples, honeymooners, and families. The real charm of this hotel is the pool that overlooks the ocean below a giant cliff-face. Arrived late at night and finding the path up to the hotel was a little tricky. Overall a very peaceful place and I loved hearing the monkeys and birds in the morning. It's a beautiful location. The actual rooms needs some updating with the bathrooms and having more robust air conditioning. Overall a very pleasant stay and the staff are helpful and professional. 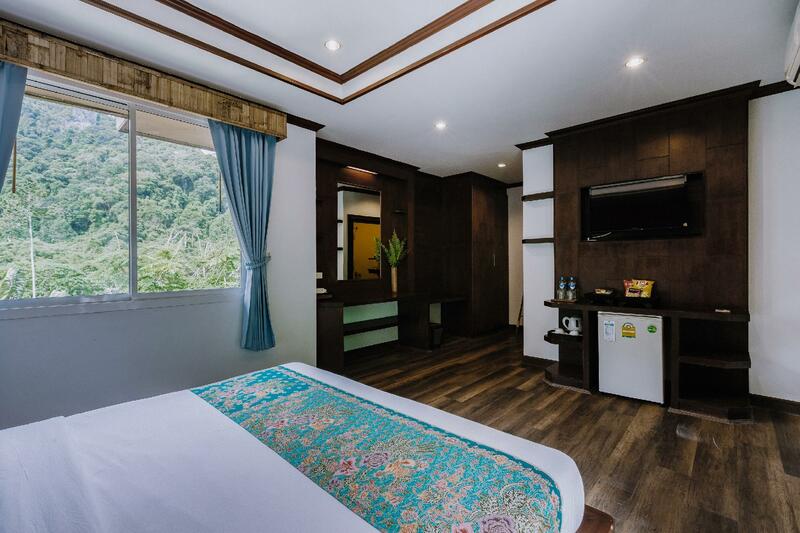 With it's uphill location and stunning views Phutawan truly is a paradise of Railay. It is a short and very scenic walk away from Railay West and East beaches . In our superior cottage we felt amazingly close to nature with views to tropical forest and stunning Avatar mountains from all the windows . The location and views from the pool are amazing, the interior of the cottage is lovely, the service and breakfast are good. The best hotel I have ever stayed in Thailand and I would certainly go back again ! This place is absolutely stunning. If your okay with a little walk, the view is truly unbelievable. We ended up staying two nights in two different rooms. They were fixing the AC the second day so we had a late check back in, but they upgraded us to the private sea view room and it was beautiful. They also have rock climbing right beside the hotel which is convenient for anyone wanting to do that. The pool view is something out of a movie. Staff was very friendly and they have a really nice bedded area for the evening to just relax on. It has everything you need at your fingertips! Good breakfast options, would definitely stay again! This was by far our favourite accommodation in all of Thailand. The pictures do not do it justice. This may be my favourite hotel that I have ever stayed at. The price is for the incredible landscape around the hotel. A bit of a walk from one of the piers but they have a shuttle, which we never ended up using. The first thing you need to know is that you will need to ask the hotel to pick you up when you come. They will do that with pleasure, since the Resort is located a bit further from the beach and peer. However, this locations makes for a great view, a peaceful place, and a great stay. 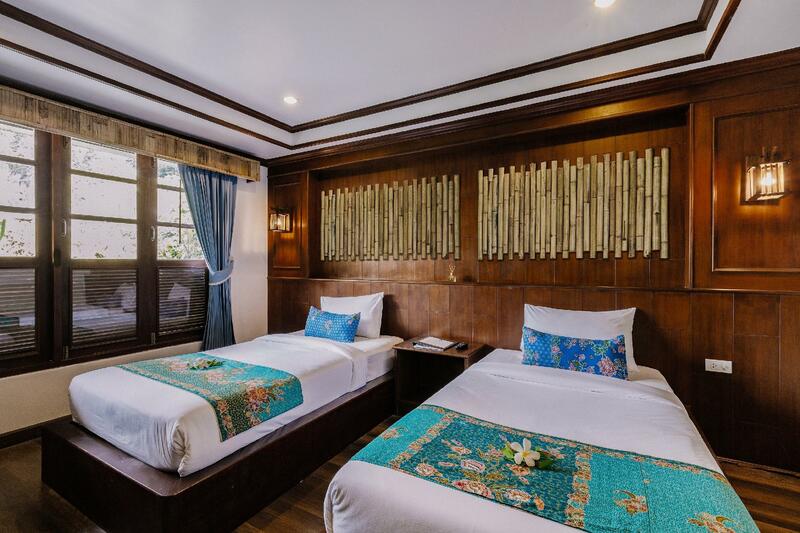 The staff is very friendly and helpful, breakfast buffet is yummy and has a lot of options, pool is open the whole day (you can just stay there for some hours and you would enjoy the Railay experience anyway). Absolutely amazing hotel. We were hesitant to book because we thought it would be far from the west beach, but not at all. hardly a 7-10 min walk. they have a free shuttle every hour down the hill (but frankly its not necessary, a short walk up/down). The view from this hotel is something out of a movie... with a big climbing rock right in front iluminated at night, I could spend hours just watching these views from the confy pillows under the shade of the gazebos and the ocean breeze. Only downside for me was the breakfast, the hot dishes were cold (no fire underneath), coffee was the solunle kind. Also, hotel picked us up from the beach pier, but refused to take us to the pier (they say they only take you to an intersection which is 100 mts from the hotrl so I do not see the point of even taking it. They should take guests to the pier. Overall, fantastic value for the money! We have never stayed in such a beautiful resort like Phutawan!!! Granted, the journey by longtailboat was a bit bumpy with the suitcases but it was definitely worth it. The resort was the only one which is located higher. The other resorts were right on the beach. Either on the east side or west side. The east side is not suitable for swimming as here is always low tide and the whole mud collects. The west side is beautiful and you get through a tourist promenade where the bars and restaurants are tommeling. As I told the resort is located higher, the walk down to the beach was always exciting and a experience. We met a lot of animals daily, such as the monkeys. Scorpions, frogs and even a waran! These experiences were priceless. We will definitely come back again!! A great stay! At the beginning we thought the distance from the beach would be annoying, but in time we realized it also came with the amazing view, the privacy and the romantic atmosphere. 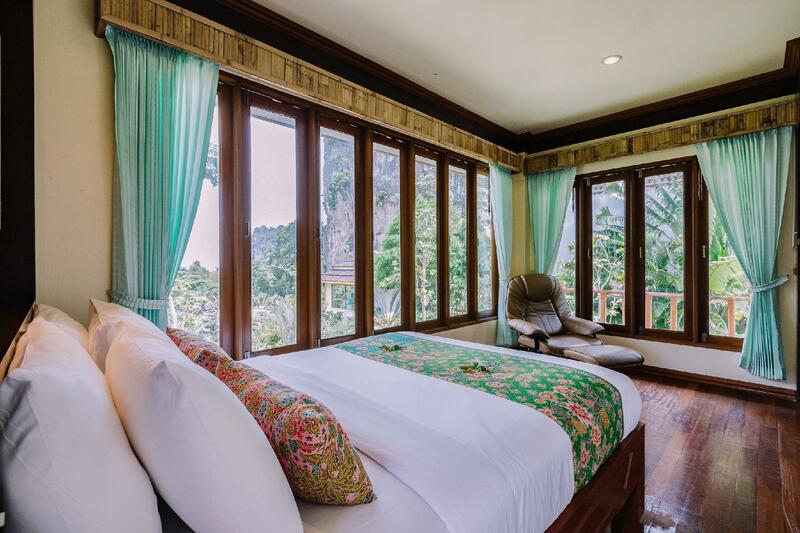 We loved our sea view room and Railay is simply beautiful! Great location.. I mean on the hill with a pool next to the limestone wall facing sea!! But if you want to get to railay east and west have to walk a few minutes like 5-10 minutes. But on the way is a great scenery of cave, jungle and monkeys... Nice.. Recommended.. And their restaurant food price is acceptable. There a cool laidback coffee house own by real rock climbing school I think, been there one evening but nobody around so a bit disappointed.. Overall great stay.! The main reason why we booked this place was because of the infinity pool. It is no doubt the highlight of our stay in Railay. Do choose to stay in Railay because it is so peaceful and tranquil compared to Ao Nang beach. The staff were nice and the hotel is a short walk from either Railay east or west pier. Phutwan was a good value for the money. The outdoor area and the pool are stunning. Everything was clean and nice; the views were excellent; the food and drinks were good. The room I stayed in was comfortable, but didn't seem renovated like the pictures. When I first arrived, I had a small concern that I communicated to the staff, and they really brushed it off and did nothing to help. I also had a slight issue with the staff when they came to clean my room while I was organizing; the room was messy, and they commented on and made fun of it without realizing I live in Thailand and understand Thai. Other than the staff, everything was great. The room was clean and comfortable. The path up to the hotel is a bit steep, but it's worth it for the view--just be careful, as it may be a difficult walk for young children or anyone with mobility issues. Overall, it was a stunning resort with comfortable, clean rooms close to the beach, and a great value for the money. 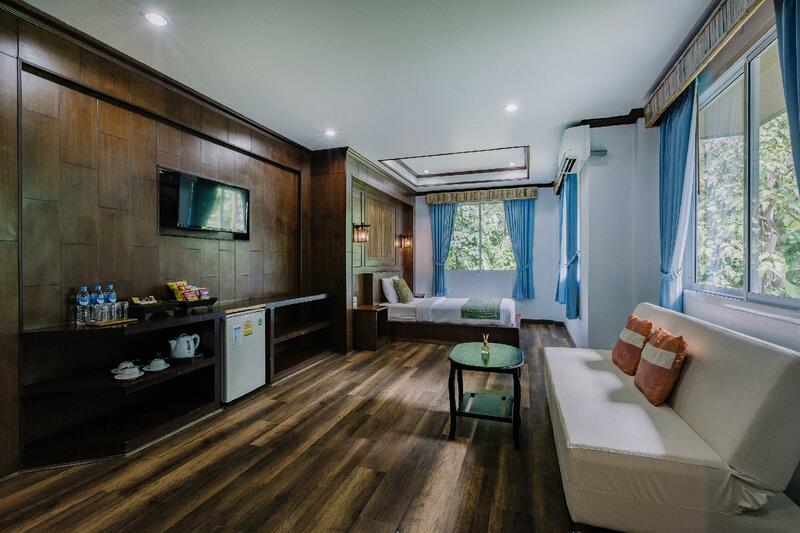 This is a beautiful hotel set in in the valley with easy access to both beaches in Railay. There is rock climbing that you can do or watch while eating your breakfast. The room was a good size and definitely big enough for 2 adults and 2 kids. My only issue was the path to the hotel is poorly lit at night and in daylight there are monkeys ready to steal any food you may be carrying back to the hotel. Fantastic hotel. It’s away from the beach but it’s only a short walk so isn’t an issue. It’s lovely to be out of way and the views from the pool are amazing. The food and cocktails at the bar are good and not out of price range for the setting. Good size room, comfy bed, balcony with nice view of gardens, quiet at night. Pool is AMAZING!! Got given pool towels. Lots of loungers and bar with reasonably price food! Did not appreciate staff cutting grass at 1pm in the afternoon when lots of people around pool which was super noisy and irritating. Staff helpful got given voucher for 10%off and free spring rolls which was great Location right in between east and west beach! Up a bit of hill but nothing major, a few monkeys along the way. Path is very dark at night, wouldn’t want to walk on my own! The resort was very nice and not far from the beach, however it was low season and the road up to it was empty. At night it's a bit unsettling. The pool was very nice and the view amazing. I also came across monkeys on my way from the West Beach to the resort and they were not nice and started pulling on my dress.